How long will the rally take? 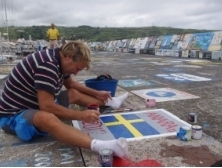 The initial passage to Bermuda takes around 5-7 days; from Bermuda to Horta 12-15 days; and from Azores to Portugal 5-6 days for an average 12m boat.The whole rally covers a 6 week period. When does the rally start? 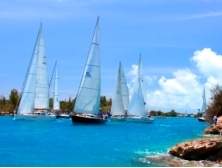 ARC Europe 2019 starts in Nanny Cay, Tortola BVI and Portsmouth,Virginia on 4 May 2019. 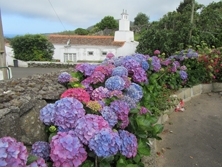 I want to sail to the UK/Germany instead of Portugal If you are heading north, you can leave the rally after the Azores Cruise. We will continue to provide weather forecasts and you can retain your satellite tracker until you reach your destination. Can I use my engine? This is a cruising rally, so use of engines is OK! Boats in the fun competition Cruising Division must declare their engine hours for their results to be calculated. Can I take my children? 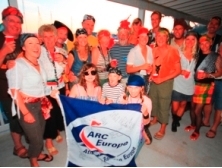 Families with children of all ages have sailed in ARC Europe, and all are welcome. It is worth noting that this west-to-east Atlantic crossing is usually rougher and colder than the tradewind ARC route. How do I find crew? Personal recommendations are the best way of finding crew, but you can also register free on Ocean Crew Link to look for crew or respond to adverts. The ARC Europe Facebook page is another good way to connect. How many people take part? ARC Europe usually has 20-30 boats, mostly crewed with four people or more. 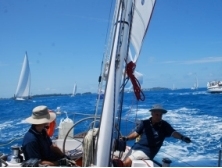 There are lots of opportunities for changing crew along the route, as there are good air links in Bermuda and the Azores, so many boats sail with a range of family and friends on different stages. 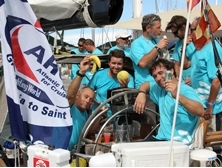 Some crews are already friends, having sailed in the ARC, World ARC or ARC Caribbean 1500 rallies. We'll organise lots of social events to help everyone make friends. How can families at home stay in touch with the boats? 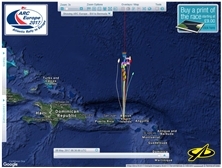 All boats will be fitted with a satellite tracker, which will display the boats positions on the online Fleet Viewer. All boats can also blog for free on the rally website. What about onward cruising? 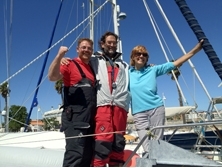 Many ARC Europe boats continue cruising together after the rally, exploring the Mediterranean and northern Africa. North American boats may want to cruise the Mediterranean then join the ARC to sail back to the Caribbean.